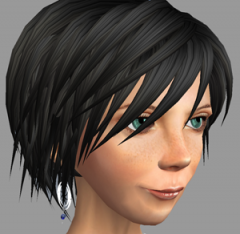 When you register for Second Life, you provide your birth date, because you are required to be at least 16 years old. If you are 13-15 years old, you may be allowed if you are restricted to the estate of a sponsoring organization. For more information, see Teens in Second Life. To access adult content, you must be at least 18 years old. Be 18 years or older. We determine your age based on the birthdate you provide when you set up your Second Life account. Set your Viewer preferences to view adult content. See Accessing Adult land and content for instructions. For information on what constitues adult content, see Maturity ratings. Estate and parcel owners of adult-rated regions must limit access to Residents who are 18 years of age or older. Underage Residents are blocked from entry and receive a notification to this effect. For instructions on how to restrict land access, see Age restriction parcel and estate management features. 1. About this: "If you do not wish to search for or visit land that requires age verification, you can experience Second Life without becoming age verified.﻿". Is there any search in SL that REQUIRES age verification? AFAIK the adult searches requieres age veritication AND/OR payment info on file. 2. About this: "Note: If your account has payment information on file, you may visit land that has an Adult maturity rating without becoming age verified﻿". Perhaps better: "Note: If your account has payment information on file, you may visit land that has an Adult maturity rating AND MAKE ADULT SEARCHES without becoming age verified﻿" (or similar). 3. About this: "You have to verify each separate avatar you use, but there is no limit to the number of avatars you can have verified.﻿" Avatar or account? Perhaps better "You have to verify each separate account you use, but there is no limit to the number of accounts you can have verified.﻿"
Thank you very much for your input, Irene. I think that by taking your suggestion from #2, I've also addressed the query in #1. Please let me know if you think something is still unclear. I agree with your update :) (just my opinion of course, I'm only a Resident :) ).